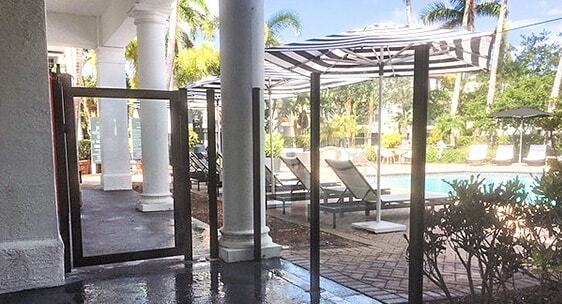 This upscale apartment complex in Jupiter, FL recently renovated their community pool deck with our aluminum glass windscreen. 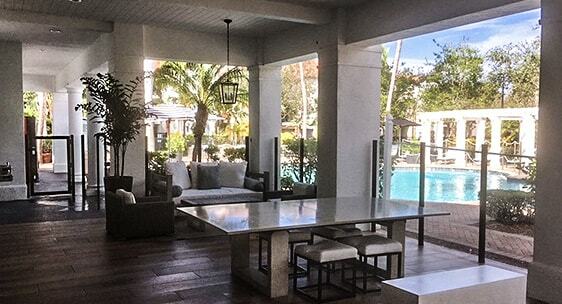 The durable aluminum posts are powder coated in a matte bronze color to complement the existing outdoor design. 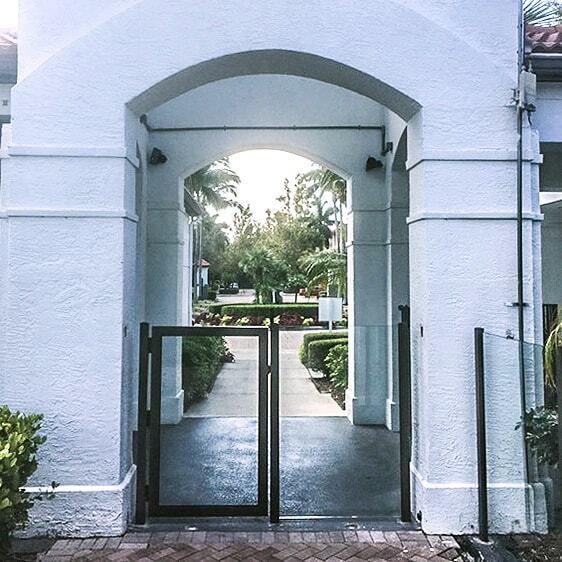 The fence is paired with our commercial aluminum gate system, which provides security for the residents while allowing clear views of the palm tree-lined pool area.